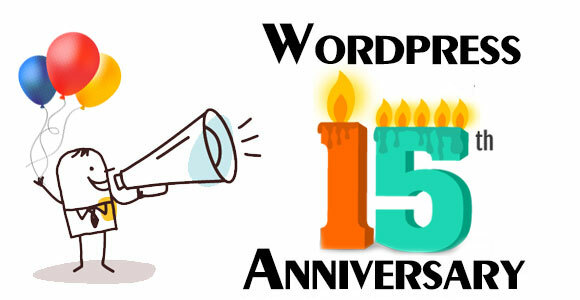 The largest blogging platform in existence has completed its 15 years. WordPress has been a namesake for blogging and web development innovation for a whole decade now and it still isn’t showing any signs of growing old. Age has only matured it to greater and greater standards of perfection and popularity. Powering over 59% of all the websites present on the internet, WordPress is now the most used content management system in use today. The project is open source and is actively developed and maintained by a whole community of open source developers itself. So don’t be surprise when you see a group of programmers, bloggers, and business owners celebrating a mysterious holiday because they would be celebrating the first release of the software that has changed their lives forever, WordPress. WordPressIntegration, the best PSD to WordPress conversion service provider, also wishes to congratulate its clients, employees, and visitors on this special occasion. We have been a part of WordPress community since 2004 and have evolved to the position of industry leader along with the WordPress. It is the contribution and support of developers and WordPress users like you who have made us and WordPress what we are today. Thus, we request you for the continued support for the same.